This busy park is lined with fantastic oak and catalpa trees, the latter decorating the fields with their exotic flowers in early summer. 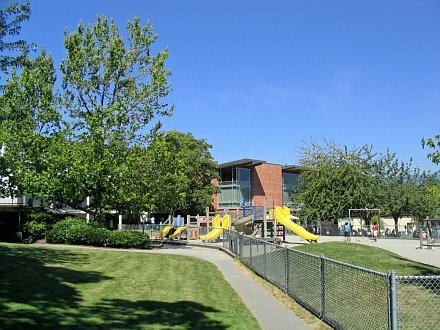 This is an excellent place to enjoy one of the shaded benches, whether watching kids in the spray park, resting, or observing a game of soccer or softball. 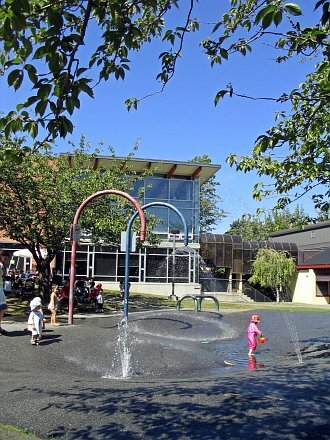 Though the exact date of this park’s start is lost to the ages, it was in existence by 1921 when the Park Board gave approval for nearby residents to plant market gardens in the undeveloped park areas. 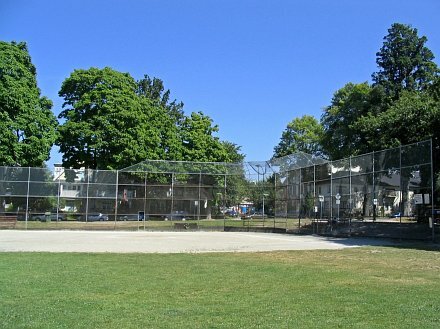 In 1926 the park received its first major playing fields and in 1948 the Board approved the construction of a community centre there as part of a bylaw improvement project.